Sonny begs Dante not to shoot him, but Dante does as Raj asks. The bullet grazes Sonny&apos;s shoulder. 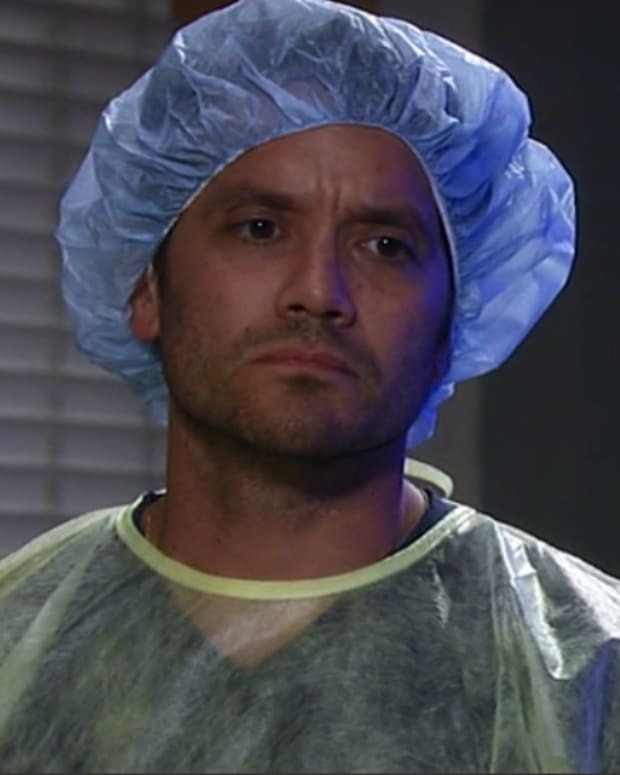 When Raj complains, Dante says Sonny is a better asset alive. Sonny is tossed in a jail cell while Raj figures out what he wants to do with him. Alex shows up in town looking for help because she&apos;s blind. Finn says he can help her regain her sight, but he&apos;s not interested in aiding and abetting a fugitive. Alex says he&apos;ll be handsomely compensated. 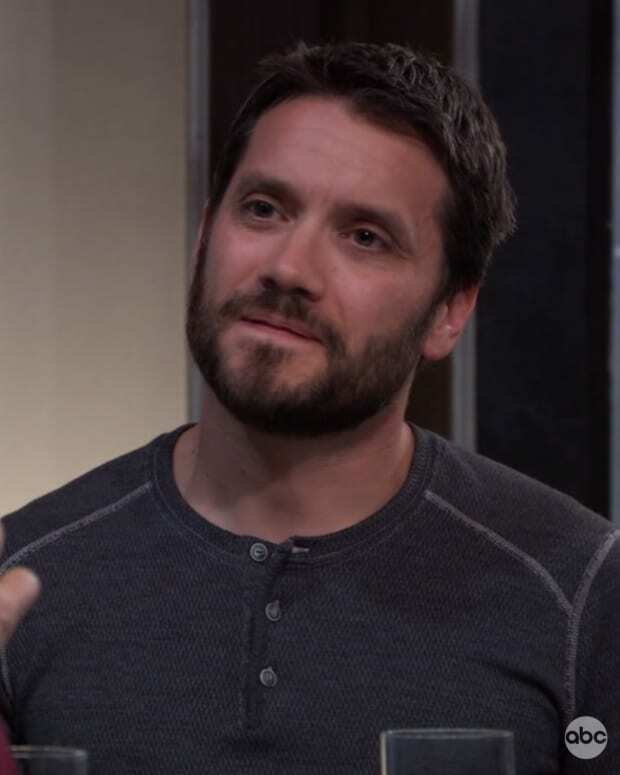 Anna says she knows Alex was a willing participant in Dr. Cabot&apos;s research and wants to know which of Alex&apos;s memories were implanted into her. Alex downplays it, but Finn tells her he&apos;ll only cure her if she cooperates. Sasha wants to discuss Nina&apos;s wedding plans with Peter. She lays it on thick that this wedding is super important to Nina. Sasha doesn&apos;t want anything to go wrong and to hurt her. Maxie&apos;s thrilled when it turns out Chet is the new bartender at the Rib. She introduces him to Lulu. When Maxie and Chet get super chatty, Lulu wonders about their closeness. Maxie claims she and Chet are just friends. Lulu says they seem flirty, but Maxie denies it again. Lulu then asks about Peter, but he interrupts before Maxie can say anything. Peter tells Maxie he thinks Sasha is onto them because of her concern for all things Nina. Stella runs into Marcus at the hospital. He says Yvonne took a fall and hit her head, so she was brought in for some tests. Marcus mentions that Mike was quite upset and he reached out to Carly on Mike&apos;s behalf. Carly and Michael take Mike out to the Rib to get his mind off of Yvonne. Mike seems obsessed with Sonny&apos;s whereabouts. Carly finally admits to Mike that Sonny is in Turkey working with Dante. Carly tells Michael and Mike that she&apos;s pregnant. Michael heads to the bar to get drinks to celebrate and runs into Sasha. Sasha brings up that she&apos;s not dating anyone right now. Michael counters that his ex did a number on him. Michael says he likes Sasha (really Michael? You&apos;ve known her for 5 minutes), which causes Sasha to run away. Jordan&apos;s being released and is happy to be going back to work. Curtis wants her working from home and has coordinated things with Chase. Stella stops by with information on outpatient dialysis. She tells Jordan she can lead a normal and active life. Curtis mentions a baby, which shocks both Jordan and Stella. Stella tells them to discuss reproduction and medical issues with her doctor. When Stella leaves, Jordan confronts Curtis, who promises to back off. Alex says Anna has had a wonderful life and maybe she shouldn&apos;t open a can of worms because she&apos;ll be asking for trouble. Anna says she wants the truth. Alex counters that it&apos;s better left alone. 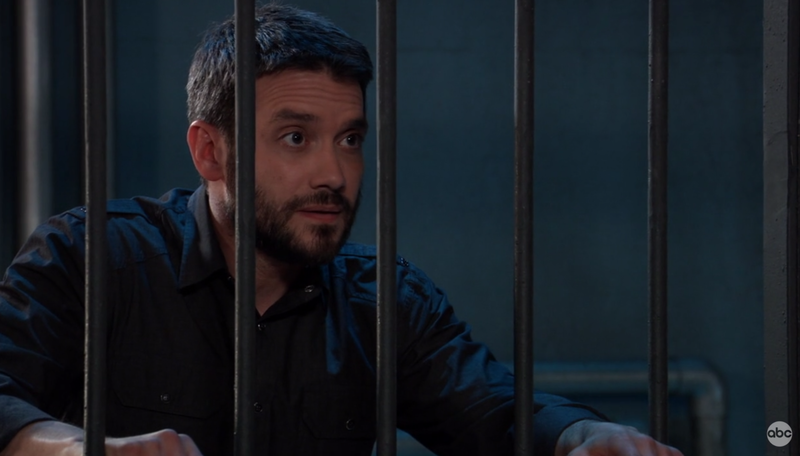 Dante visits Sonny in his cell. Sonny tells him that Lulu was attacked and stabbed by Franco (apparently Sonny hasn&apos;t refreshed his Twitter feed while in Turkey. Surely someone would have told him about Ryan by now). Dante says he was working his way back to PC, but Sonny turning up messed things up. Dante says Raj is selling military grade weapons to anyone so he let them capture him. He says he was Raj&apos;s prisoner until he started to prove himself. Dante says he had to earn Raj&apos;s trust and Raj was going to send him back to PC to work for him. 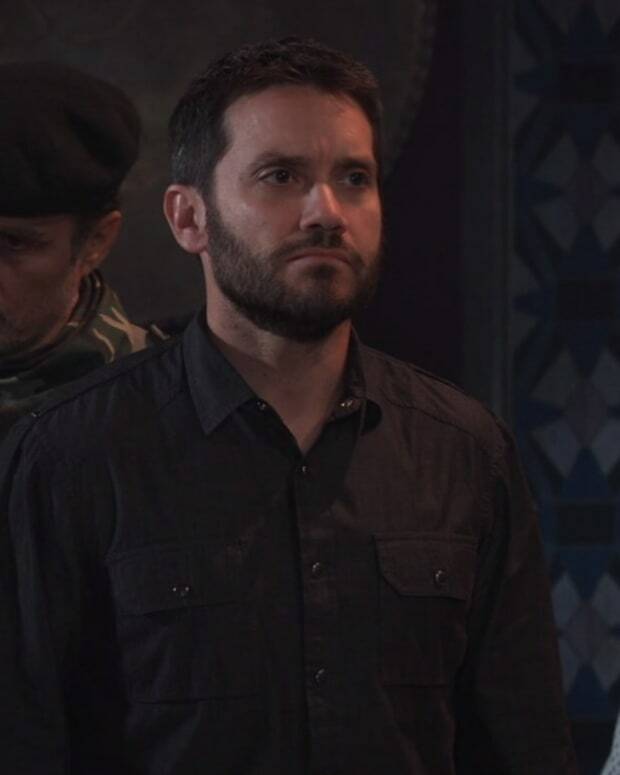 Dante says Raj is now distracted by Sonny and will want to kill him. Sonny says Dante should kill him first. (Again, show, if you don&apos;t mean, don&apos;t tempt me with it).